You’ve heard about them from your personal trainer, your favorite professional athlete, and maybe even your mom! It seems that supplements are everywhere these days, and everyone has an opinion on which is the best. More and more athletes are turning to supplements to help pull them out of an injury, performance slump or illness. Any why not? Elite and competitive athletes rarely take in all the nutrients their bodies need solely from their diets. Incorporating select supplements could aid in muscle repair and endurance. However, it is important to remember that all supplements are not created equal. Supplements are not tested for safety by the Food and Drug Administration (FDA), and manufacturers are not required to prove safety. Always discuss any supplement use with your primary or sports doctor. A sports nutritionist could also be very helpful in determining the best supplements for your sport and level of activity. The following is a list of the top ten sports nutrition supplements, formulated to support the health and improvement of all athletes, regardless of training style, sport or intensity. Like whey protein, casein is a protein found in milk and cheese. It is digested slowly by the body, while whey protein is digested quickly. 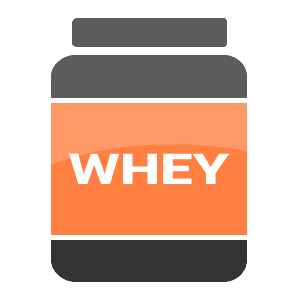 Whey and casein proteins can be taken together. Derived from milk, casein protein is the most slowly digested of all proteins, plant or animal product based. Casein composes about 80 percent of all protein present in milk and is very rich in amino acids. Casein protein gets its slow release properties from the clotting that it occurs in the stomach, which causes it to be absorbed much slower by the small intestine than other proteins. 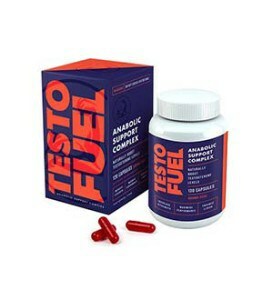 This makes it an ideal bedtime supplement to nourish an athlete through the long growth and fasting period of sleep and reduces the risk of entering a catabolic state. 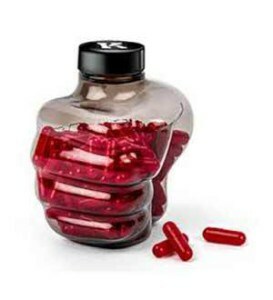 According to the University of Michigan Health System, this clotting property aids in increased fat loss, while preserving and even stimulating new growth in lean muscle. After taking casein, studies show that athletes have increased blood amino acids up to 7 hours after taking it. This results in a 34 percent reduction in protein breakdown. More protein available in the body means more muscle growth and less muscle injury during exercise. Because casein is digested more slowly, it can be very helpful for endurance athletes who will be competing for hours. Athletes with milk and dairy allergies will probably not tolerate casein well. It could result in diarrhea and cramping. Like whey protein, casein usually comes as a protein powder. Casein provides a thicker consistency and can be a good addition to pudding or yogurt. It does not work as well in baked products, because it won’t solidify and could leave baked goods too mushy. Casein can also be shaken with water or added to smoothies and shakes. As always, protein should be taken at a ratio between 1-1.5 grams of protein per kilogram of body weight. Casein should not be taken by those with an intolerance to lactose. 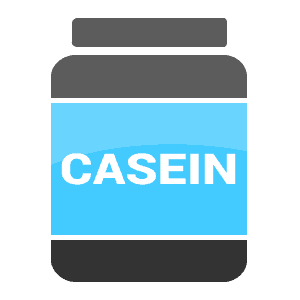 Though the slow release may be a benefit at bedtime, casein should not be used as a pre-workout supplement as it may cause cramping. 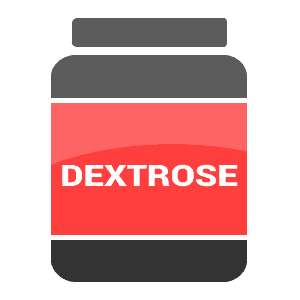 Dextrose is a fast-absorbing simple carbohydrate. It is a high glycemic index (GI). GI is measures how quickly sugars enter the blood stream. Because Dextrose is a high GI, it is very quickly absorbed into the bloodstream. Taking Dextrose causes the body to produce insulin, which causes the muscles to take in and keep more glycogen. Glycogen not used by the muscle will be converted to fat by the body. Taking a dextrose supplement during and after activity is usually more convenient than trying to obtain carbohydrates from food. On a long bike ride, it is a lot easier to grab a few sports gels or candies than a full sandwich. Dextrose is a pure, simple sugar. 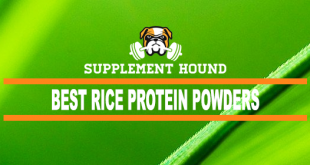 Many bodybuilders use it to increase the uptake of other supplements, as it instantly raises insulin levels and causes the body to digest protein, creatine and many isolated amino acids and deliver them to muscles much faster. Dextrose is a pure glucose, which is important for feeding cells and is one of the primary building blocks of the brain. A 2011 study at the University of South Florida showed that dextrose sharply increases blood glucose levels within 30 minutes of ingestion and the effects can last over 90 minutes, making it a sensible pre-workout energy source. Dextrose is generally sold in a powdered form and can be mixed with other powders to speed absorption and add a mild sweetness. Dextrose is commonly referred to as grape sugar, but can also be derived from corn, which most dextrose supplements on the market today are made from. Dextrose and other carbohydrate supplements can be used to both restore muscle glycogen after weightlifting and to maintain glucose (sugar) levels during endurance events. It can also be used to maximize muscle glycogen before extreme endurance events like a marathon or triathlon. Loading dextrose before events has not been proven to be effective. However, using dextrose during and after endurance events has proven beneficial. No side effects have been noted. However, remember that any dextrose (like any sugar) the body doesn’t need will be stored as fat. Studies show it’s best to start dextrose 30 minutes after strenuous activity and definitely within the first 90 minutes. Athletes can take 0.7 to 1.0 grams per kilogram every 2 hours for the first 4 hours after activity. Taking protein with your dextrose supplement can actually increase glycogen production in the body. Dextrose and other simple carbohydrates can be taken in the form of sports drinks, sports gels or candies, and even gummy bears. Most manufacturers recommend mixing 2-4 teaspoons with water or juice for consumption before, during or after a workout to replenish intramuscular glycogen stores as they are being burned. Flax seed oil is obtained by pressing flax seeds. Flax seeds provide high levels of antioxidants which help repair damaged cells in the body. They also contain protein, vitamins, minerals and healthy fats. Flax seed oil is an excellent source of omega-3 fatty acids and fiber. Flax seed oil is also high in powerful antioxidants called lignans. Also referred to as Linseed oil, flax seed oil is extracted from the ripe seeds of the flax plant (Linium usitatissium) through a pressing process. Due to its high levels of alpha-linolenic acid, flax seed oil is known to lower levels of bad cholesterol, high blood pressure and reduce inflammation associated with arthritis, and may also prevent heart disease and diabetes. The vitamins and minerals found in flax seed oil support energy production in the body. It also provides healthy, plant-based fats which athletes need. Vegetarian and vegan athletes especially may be lacking enough fat in their diets. There are no documented side effects, but because they are a good source of soluble and insoluble fiber, they regulate bowel movements. Taking high doses could result in diarrhea. 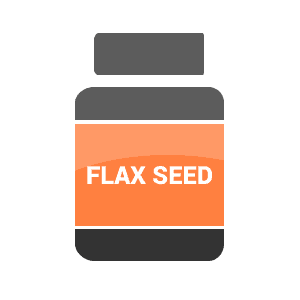 Flax seed oil may also interact with certain prescription medications, so check with your doctor before taking it regularly. Flax seed oil can be found in most health food stores. It can be added to food when cooking or taken as a capsule. Flax seed oil supplements come in both liquid and capsule forms and should be taken in several 1,000mg doses throughout the day. In its liquid form, flax seed oil can safely be used as a cooking oil. Magnesium is a nutrient the body needs to stay healthy and regulate muscle performance. It can be found in the bones and muscles of the body. Our bodies require magnesium to break down carbohydrates and fats, which we then use for energy. It is also essential for muscle contraction. Magnesium can help promote strong bones and skeletal muscle. It is also essential for metabolism function and helps with providing adequate energy during activity. It is a regulatory mineral that controls the hormones that contribute to muscle and nerve function, blood pressure regulation, glucose control and protein synthesis. Magnesium is also essential for skeletal health and the transportation of calcium and potassium ions, which contribute to normal heart rhythms and proper muscle contraction. Magnesium deficiencies may contribute to several serious illnesses, including heart disease, osteoporosis and type 2 diabetes. Magnesium is naturally found in foods high in dietary fiber, such as nuts, whole grains and dark, leafy greens and trace amounts can be found most bottled or tap water. The National Institutes of Health’s Office of Dietary Supplements suggests that the average adult male consumes between 400-420 mg of magnesium, while the recommended daily allowance for an adult female is between 310-320 mg. 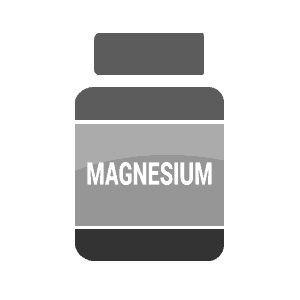 Taking too much magnesium (above the upper daily limit) can cause diarrhea, nausea and cramping. According to the National Institutes of Health, very high doses of magnesium supplements can even cause irregular heartbeat and heart attacks. Always check-in with your primary doctor before starting a magnesium regimen. Powdered magnesium supplements that are dissolved in water are have a higher bioavailability than those in pill forms, but be aware that high levels of supplemental zinc can disrupt the absorption of magnesium. Magnesium is usually included in most multivitamins. There are many forms, and some are more easily absorbed and used by the body. The National Institutes of Health recommends looking for these types: magnesium aspartate, magnesium citrate, magnesium lactate, and magnesium chloride. Healthy adults should not take more than 350 milligrams per day. Fish oil can be found in the tissues of oily or fatty fish and provides omega-3 fatty acids. Fatty fish that provide omega-3 fatty acids can also be high in mercury and other toxic substances. For this reason, athletes have looked to fish oil supplements to obtain the benefits without the risks. Fish oil enhances heart health, reduces high triglyceride levels and some studies have pointed to fish oil as a catalyst for improved cognitive function. The omega-3 fatty acids in fish oil strengthen the walls of cells, reduce inflammation and increase blood flow, all of which aid in enhanced recovery. In 2013, The New York Daily News reported on a study that showed a link between dietary fish oil and a reduction in the buildup of arterial plaque. Fish oil can also be effective in reversing the effects of macular degeneration and skin disorders like psoriasis. Because many vegetarian athletes cannot obtain enough fat in their diets, fish oil can be very helpful. It also regulates blood sugar levels and blood pressure. Taking high doses of fish oil could cause upset stomach. Some athletes find the capsule smell to be too “fishy” and result in bad breath. 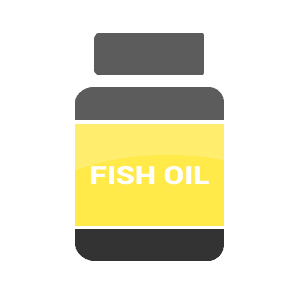 Fish oil is available in capsules in most health food stores. The Food and Drug Administration has not established a recommended dose. Mackerel, salmon, tuna and sardines are among the highest natural sources of omega-3 rich oil, but due to the rising costs of seafood and the risk of mercury poisoning, many people prefer to supplement with refined fish oil capsules. The recommended dosage of fish oil is between 2-3 grams per day and it must be noted that consuming more than three grams per day may affect the blood’s ability to clot properly. Branched chain amino acids are essential nutrients found in the body. They are an important source of energy and useful for endurance exercise. They may be helpful with body fat loss. Branched Chain Amino Acids (BCAAs) are comprised of three amino acids, leucine, isoleucine and valine and are important for muscular growth and immune function. The term “branched chain” comes from the chemical composition of these free amino acids. Unlike a protein, which is comprised of bound amino acids, BCAAs are free form amino acids and are more quickly and directly absorbed into the blood stream. BCAAs can make a significant impact in maintaining and preserving muscle during low-calorie diets. 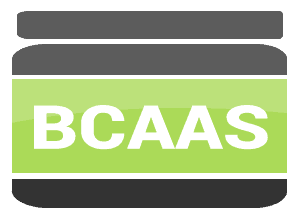 A 2008 study published in the Journal of Sports Medicine and Physical Fitness showed that BCAAs stimulate increased rates of protein synthesis and post-workout recoveries. Recent studies have also shown that by supplementing BCAAs, you can block the production of tryptophan, which is what creates the feeling of fatigue during strenuous exercise. In addition to fat loss, “Netter’s Sports Medicine” states that BCAAs are said to decrease symptoms of fatigue associated with extreme exercise. Taking a BCAA supplement can replace those used in the body during exercise. They are used as fuel for activity, as well as protein production. BCAAs stimulate fat metabolism. In addition, they may maintain serotonin levels in the brain, which controls central fatigue. A possible side effect of BCAAs supplements is fatigue. 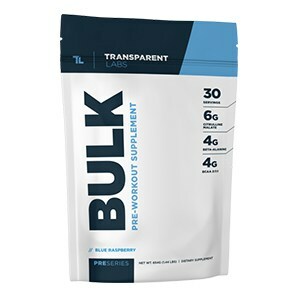 BCAAs are frequently added to weight gainers and other protein powders and are available as a standalone supplement in both powdered and capsule forms. 10 grams of BCAAs should be taken once daily, pre-, post- or intra-workout on training days, and first thing in the morning on off-days. A supplement for BCAAs is usually combined with other amino acids. Doses range from 5 to 10 grams once daily or before activity. In general, meal replacement bars have quality ingredients and are low in fat. They can contain different types of proteins, such as whey or soy. Meal replacement and protein bars are great for adding all of the right calories without going overboard, between regular meals and prevent you from becoming catabolic. With meal replacement bars is the added convenience of never having to miss a meal. In addition to their nutritional value, the protein density of bars cause them to be digested much slower than a shake, snack or meal which makes them beneficial to weight loss. Aside from protein, meal replacement bars are generally fortified with essential vitamins and minerals and fill in the voids that may be left by a low-calorie weight loss diet. Though they are “meal replacements”, they should not replace every meal and should generally be consumed post-workout and as a midday snack. Taking a protein bar before or after activity can help build muscle and repair muscle damage after the exercise. A 2005 study in the “Strength and Conditioning Journal” showed that protein bars are effective at building lean muscle in body builders and other elite athletes. No side effects are noted, but always check the ingredient list to ensure the bar is not too high in fat. Consumers must be aware that not all meal replacement and protein bars are created equal. Some bars marketed as healthy meal replacements are high in sugar and low in protein and other nutrients. When taking a meal replacement or protein bar, always read the ingredients and nutrition labels. A convenient way to remember what to look for from “Gold Medal Nutrition” is the 4 and 20 rule. Choose bars that have less than 4 grams of fat and more than 20 grams of carbohydrate. Also look for 1 to 3 grams of fiber and 2 to 5 grams of protein. 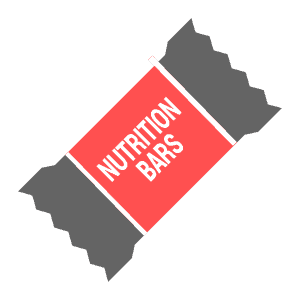 Meal bars can be taken before or after activity. Whey protein comes from milk. Recent studies listed in “Gold Medal Nutrition” have proven that whey protein supports muscle development. Whey protein is digested quickly by the body. Taking protein after activity helps build muscle and repair any muscle damage. Taking a supplement is especially helpful for athletes who prefer not to eat right after they exercise. Coming home from the gym and having a smoothie with whey protein usually sounds a little more palatable than immediately sitting down to a fish dinner. Whey protein is the fastest digested protein. Like casein, it is also a dairy protein, but whey is a byproduct of the cheese making process and comprises about 20 percent of the total protein in milk. Whey protein is composed heavily of BCAAs and trace minerals and aids in protein synthesis. Whey protein also increases glutathione levels, which is an antioxidant tri-peptide that protects skeletal muscle and iron levels in hemoglobin. Whey protein is marketed in several forms, with whey protein isolates being the purest versions, composed of roughly 90 percent or higher whey protein and minimal lactose. Because it is so quickly absorbed by the body, it is the ideal post workout supplement. Whey protein maintains and extends the anabolic window after a workout and quickly begins the rebuilding process after a strenuous workout. A 2004 study in the Medical Science & Sports Exercise Journal showed that whey protein significantly raises the level of leucine, the amino acid that promotes protein synthesis, in the blood stream. Studies listed in “Netter’s Sports Medicine” have proven that protein supplements increase muscle mass, but participants were not tested for increased strength. Studies show that whey protein is easily digested. However, those with lactose or dairy allergies may not tolerate it. No side effects have been noted when taking does up to 2 grams per kilogram per day. Athletes taking higher doses may be at risk for renal (kidney) damage. Excessive protein is stored as fat in the body. The convenience of whey protein powders makes it easy to consume a shake before leaving the gym and gives you a buffer before your post workout meal. The usual post-workout dosage is 25g and whey protein can also be easily mixed with oatmeal for an extra morning protein boost. A multivitamin dietary supplement contains a combination of vitamins and minerals naturally found in the body. According to the National Institutes of Health, about one-third of Americans take a daily multivitamin. Multivitamins provide antioxidants to the body. While our bodies need oxygen to survive, breathing in oxygen creates free radicals in the body. Free radicals are unstable molecules that can eventually cause cell damage. Antioxidants like Vitamins C and E can repair this damage. Because we take in more oxygen during exercise, our bodies naturally crave more antioxidants. Regular exercisers naturally have a higher level of antioxidants in their bodies. “Gold Medal Nutrition” finds that weekend warriors or those who work out hard 1 or 2 days per week could especially benefit from a multivitamin, as they have not built up a higher antioxidant level like those working out most days. A quality multivitamin is essential to round out the holes in the average person’s diet and is the foundation to nutritional supplementation. Most one-a-day type multivitamins provide only the basics, including the necessary daily allotments of vitamins A, C and E, along with an assortment of necessary minerals. 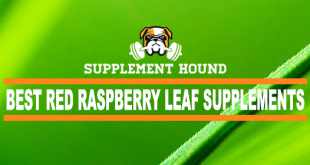 There are a number of multivitamins on the market that are formulated specifically for athletes and include additional nutrients to support immune and joint health among other things. The mineral and nutrient balance that multivitamins create can also regulate the release of hormones in the body. A multivitamin can provide the recommended daily intake of vitamins and minerals if athletes cannot consume enough by diet alone. Athletes require more vitamins than those who don’t work out, and if they are unable to take in enough from diet, a supplement can provide the added benefit. Each component has its own benefits. Vitamin C is said to help prevent respiratory illness, which could be very helpful for the athlete training for a big event and cannot afford to catch a cold. It may also slightly decrease the duration of a cold. Athletes with exercise-induced asthma may see a decrease in symptoms after starting a Vitamin C regimen. Vitamin C can help speed injury recovery. Vitamin E may be helpful in reducing the delayed onset of muscle soreness following extreme exercise. This could be very helpful to elite athletes as they train. Vitamins have low risk for side effects, but each is different. When taken in high doses, Vitamin C may cause headache, insomnia and fatigue. High doses of Vitamin E have been associated with GI distress, fatigue, weakness and rash. 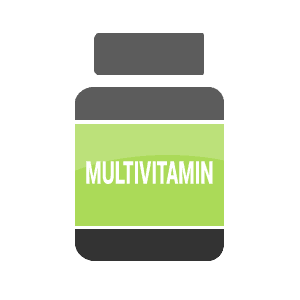 Multivitamin dosages vary depending on their formulation and function. Dosages can range from a single capsule to packs containing up to a dozen, but for the most part, multivitamins are to be taken first thing in the morning. It is very important to follow the manufacturer’s guidelines when it comes to dosing. It is possible to take too much. For example, pregnant women who take more than the recommended dose of Vitamin A are at increased risk for birth defects. The recommended daily allowance for Vitamin C is 65 to 120 milligrams per day. The upper limit for Vitamin E is 1,000 milligrams per day. Creatine is a chemical found in muscles and created by the amino acids: glycine, arginine, and methionine. . It can also be found in certain foods like fish and meats. In the body it is responsible for creating the energy muscles need to work. Creatine provides the body with the energy for muscle contraction, especially in quick sprints and weightlifting. It is also effective at reducing lactic acid build-up in the muscles, which is responsible for causing fatigue during exercise. 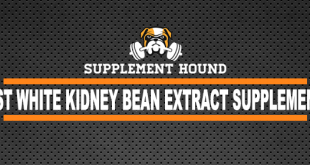 It is also one of the most used and most researched supplements used by athletes. Many professional athletes including Mark McGuire, Sammy Sosa, and John Elway have used Creatine. Creatine use is allowed by the International Olympic Committee, National Collegiate Athletic Association (NCAA), and professional sports. However, the NCAA no longer allows colleges and universities to use school funds to pay for it; student athletes must purchase it themselves. Creatine is a blend of three amino acids: glycine, arginine and methionine and is one of the miracles of body building. 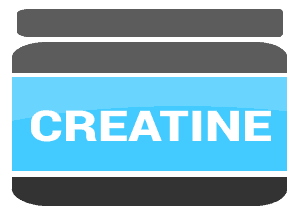 Creatine aids in energy, intramuscular fluid retention, strength and recovery. In 2012, Psychology Today published an article that showed a link between creatine and improved cognitive function. Though it occurs naturally in many foods, especially beef, the levels are not high enough to see a significant impact, which makes supplementation necessary for any athlete. While the earlier forms of creatine supplements caused bloating and cramps and required the user to go through loading, maintenance and unloading cycles, new advancements in sports nutrition development have created new creatine compounds that can be taken daily without the side effects of previous versions. Manufacturers of creatine supplements state that this supplement increases exercise performance in short repetitive bursts of high-intensity exercise. According to “Netter’s Sports Medicine,” this increased performance then leads to an improvement in muscle mass in some athletes. Creatine is needed for aerobic activity and stimulates protein production and muscle hydration. For this reason, taking a supplement could increase muscle mass and strength. Recent medical studies have concluded that creatinine supplementation has a small, but very real benefit to athletic performance. However, “Netter’s Sports Medicine” shows that there are responders and non-responders to creatinine supplements. According to the National Institutes of Health, vegetarians and those with low creatinine levels typically see the biggest impact from a creatine supplement. While creatine does not have any serious side effects associated with it, weight gain is a proven effect. Nausea, cramps and diarrhea have also been reported. While it’s not proven, some athletes report muscle cramping after taking creatine. Long-term effects of creatine on the kidneys is unknown. Athletes regularly taking nonsteroidal anti-inflammatory drugs (i.e. Ibuprofen, Aspirin) should be closely monitored by a physician if they wish to start a creatine regimen. With the new advancements in creatine formulations, the timing and frequency depend on the product, with some meant to be used pre-workout, some are to be taken post, and a few are to be taken before bed, but the general rule of thumb is 5g of creatine on training days. The research is mixed as to the most effective way to take creatine. Some manufacturers recommend taking a “loading dose” of 20 to 30 grams per day (5 to 7 grams 4 times daily) for 5 to 7 days. This amount of creatine is equal to that in 5 to 6 pounds of beef. Others recommend starting with 3 grams per day, then using 2 grams per day as a maintenance dose. Dosing should be based on body weight. According to “Netter’s Sports Medicine” the loading dose is calculated at 0.3 grams per kilogram per day with a maintenance dose of 0.03 grams per kilogram per day. It is important to remember that more is not better when it comes to creatine. Once the muscles reach saturation level, they cannot absorb anymore, and there is no added benefit. Below we have compiled a list of the top supplements for athletes, but before we get to that, lets answer some of the most common questions that athletes could have about supplements. Sports nutrition supplements are absolutely essential to supporting the workout regimens of hard training athletes. The intense degree to which an athlete must train to achieve the level of performance and success they strive for in their chosen sport requires an extensive level of nutritional balance that the average person’s diet and lifestyle may not. The point to which most athletes push their bodies can cause serious and permanent damage if they are not properly fueling their heavily stressed muscles, bones, brains and cardiovascular systems, which is what makes supplementation all the more important. Dietary supplements are typically pills or powders that contain nutrients intended to supplement one’s diet. Supplements can contain vitamins, minerals, amino acids and enzymes. Athletes have unique dietary needs to maintain muscle mass and body weight despite grueling workouts. Supplements are common among elite athletes, and a January 2008 study in the “Clinics in Sports Medicine Journal” found that almost 100 percent of weightlifters and bodybuilders use at least one supplement. Who should not take supplements? Women who are pregnant or breastfeeding should not take supplements without consulting a physician. The National Institutes of Sport recommend children and teens not take supplements, because their long-term effects on growth have not been evaluated. There are also certain supplements that interfere with prescription medications and even some surgeries, so always remember to give your doctor a full list of all supplements you take. How Can Supplements Help Athletes? While a run-of-the-mill drug store multivitamin may be enough to support the needs of a more sedentary person, even “active” formulas are not enough to support the overall health of a finely-tuned athlete. Athletes, whether they play rugby, soccer, basketball, football, volleyball, wrestling or any other high intensity sport, require a structured and regimented balance of vitamins, proteins, minerals and other nutrients, in various forms, to create the perfect storm to stave off the catastrophic effects of catabolism and enhance the growth of muscle, the flow of blood and overall stamina. Vitamins and other supplements get a bad rap in the media and are often called unnecessary, and at times even detrimental to your health. This may be true for people that live their entire lives behind a desk or in front of a TV, but for an athlete that leaves their blood, sweat and tears in the gym and on the field every day, they are the essential building blocks to support growth and fill in the holes that even the most well rounded diets cannot fill. For this reason, athletes must make informed decisions on what supplements they put into their bodies, how many they take and how often they take them. While the exact types, dosages and frequencies may vary depending on the sport or the intensity of an individual athlete’s training, many supplements are universal and should be taken by anyone that regularly partakes in strenuous physical activity. Why Should Athletes Take Supplements? Elite athletes should consider supplements if they are having trouble maintaining a healthy weight due to such intense workouts. Many supplements claim to maintain and even improve muscle mass, which could prevent stress injuries. According to the text, “Gold Medal Nutrition” supplements can also increase an athlete’s energy supply and oxygenation. Studies show that most recreational athletes can get enough protein and vitamins from their diets and do not require supplements for improved performance. Many athletes fear that taking supplements will make them bulky or slow them down, but this could not be further from the truth. 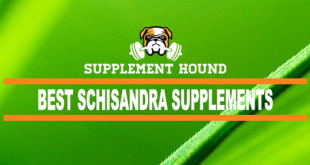 Not all supplements are formulated for size and the aforementioned products are designed with improved health and enhanced strength in mind, which is what every competitive athlete strives for. While these fundamental supplements can cause significant muscle growth, the size and flexibility of an athlete depend on the training methods and dedication of the individual. 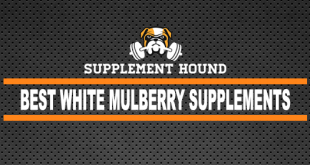 This list of our top sports supplements is by no means exclusive, but will provide a good base to those athletes ready to start incorporating supplements into their routines. When determining the best supplement for you, first think about your dietary preferences. Those with milk allergies should steer clear of whey and casein powders, because they come from milk production. Vegan athletes will rule out many supplements because they are animal-based. Next determine what types of activities you’ll be using these supplements for. Some are best for short bursts of intense energy like sprinting. Others take longer to digest and are ideal for endurance athletes and marathon runners. Also look at your diet to determine what you might be lacking. Often vegetarians and vegans don’t take in enough fat from food alone and should consider fish oil or flax seed oil. And don’t forget to think about what will be convenient in your lifestyle. Many protein supplements are recommended to be taken within the first 30 minutes after intense exercise. Think about what you crave after a workout. Is it a protein shake or meal replacement bar? Finally, because many supplements can interact with prescription drugs, make sure to ask your physician if you’re ever unsure of which supplement is best for your individual health and body. While the benefits of these products have long been known in the world of bodybuilding, many athletes in other sports have not been exposed to the benefits of these fundamental supplements. Though the effects of these supplements have been proven, coaches in many sports stress only the importance of diet and hydration. While those things are important and cannot be replaced by supplementation, they are not enough to lift most athletes into a new echelon of performance.